Plus Size Kitten: AquaLabel Workshop December! hurry up! there's still seats left! Hey everyone, round 2 is open for registration. Only RM30 to join and only 30 seats available! Unit 7-03, Menara UAC, No.12, Jalan PJU7/5, Mutiara Damansara, 47800 Petaling Jaya. 1. Register with your full name in the comment area. 2. 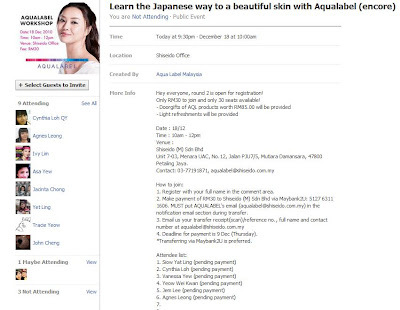 Make payment of RM30 to Shiseido (M) Sdn Bhd via Maybank2U: 5127 6311 1606. 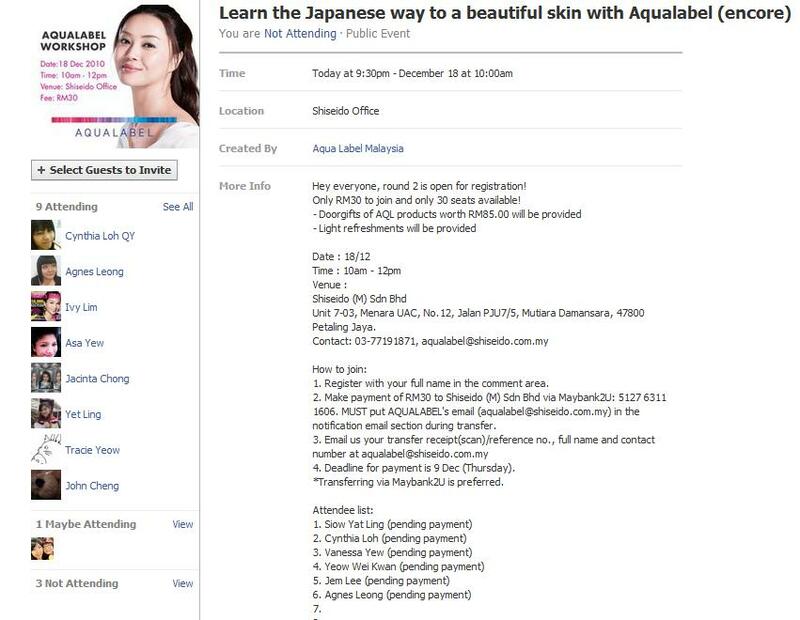 MUST put AQUALABEL's email (aqualabel@shiseido.com.my) in the notification email section during transfer. 4. Deadline for payment is 9 Dec (Thursday). *Transferring via Maybank2U is preferred.